Passionate in the law, Suang Wijaya graduated with a First Class Honours from the National University of Singapore (NUS) in 2014. Suang joined EUGENE THURAISINGAM LLP as a trainee, and was called to the Bar in August 2015. Suang has to date acted in various commercial litigation matters in the High Court including disputes relating to the mis-selling of complex financial products; insolvency litigation involving a large real estate holding company; and a dispute amongst former shareholders in relation to alleged fraud in the transfer of shares of the company and over the directorship of the company. 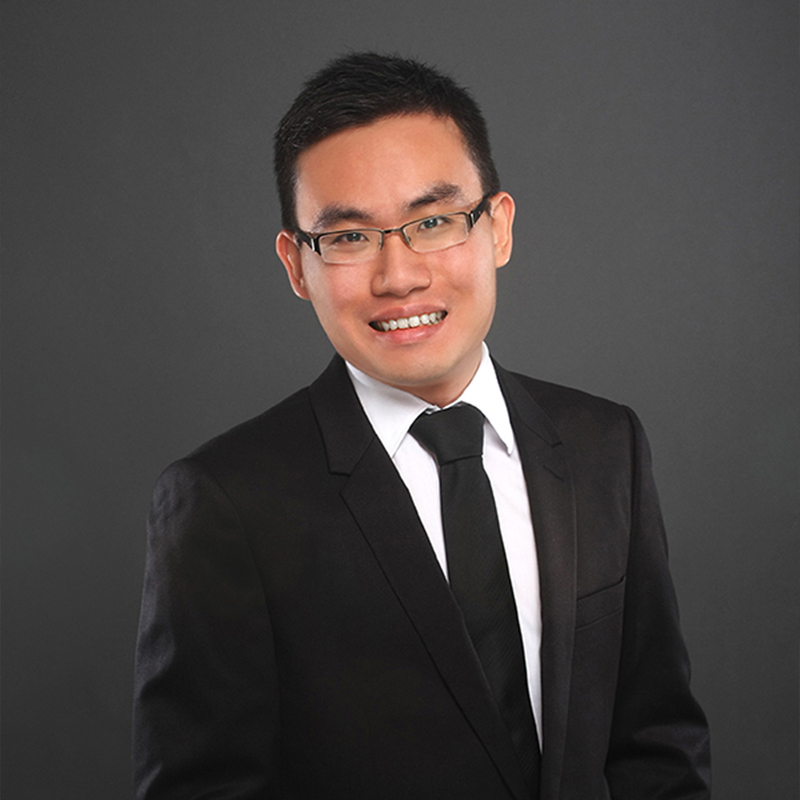 Suang is known to his commercial clients for his love of the law and his ability to explain complex legal issues in a digestible form to the lay person. He is patient, with an ever ready listening ear eager to address clients’ issues and worries. Suang aspires not only to be an excellent commercial practitioner, but also a compassionate public law advocate. Suang volunteers with the Criminal Legal Aid Scheme (CLAS) and has been appointed as junior assisting counsel in the Legal Assistance Scheme for Capital Offences. Suang is also a subject matter specialist in the fields of administrative and constitutional law, having been involved since his time as an undergraduate with the National University of Singapore in the research and drafting of legal arguments in cases involving administrative and constitutional law. Suang is fluent in English and Mandarin, and conversant in Bahasa Indonesia. Ramesh s/o Krishnan v AXA Life Insurance Singapore Pte Ltd  SGHC 197: Represented a former financial services director (“FSD”) in the assessment of damages stage of the FSD’s claim against a financial institution (“FI”) for losses arising from a negligent reference check prepared by the FI. The High Court judge assessed damages at SGD 4.026 million. Rohini d/o Balasubramaniam v Yeow Khim Whye Kelvin and another  SGHC 149: Represented a property agency in successfully defending a SGD 830,000 claim. The plaintiff had argued that the property agency should be legally responsible for the fraudulent acts of a rogue agent. Ramesh s/o Krishnan v AXA Life Insurance Singapore Pte Ltd  4 SLR 1124: Represented a former financial services director (“FSD”) in a successful appeal to the Court of Appeal. The Court of Appeal agreed with us that the defendant, a financial institution (“FI”), had been negligent in the preparation of a reference check for the FSD, and this caused a prospective employer to decide not to proceed with hiring the FSD. Represented a professional in successfully defending a claim brought against the professional in the High Court, in which the professional was alleged to be involved in a fraud relating to the transfer of the plaintiff’s shares in a company. Ilechukwu Uchechukwu Chukwudi v Public Prosecutor  SGCA 44: Represented an accused who had been convicted by the Court of Appeal of drug trafficking, in successfully applying to the Court of Appeal to re-open its decision in 2015 to convict the accused. This was the first time in Singapore’s legal history in which the Court of Appeal agreed to re-open a concluded criminal appeal. Liew Zheng Yang v Public Prosecutor  SGHC 157: Represented the appellant in a successful appeal against his conviction by the District Court of a conspiracy to traffic drugs to himself. In this case, the High Court judge agreed with our arguments on a novel point of law, that a person who orders drugs for his own consumption cannot be liable for a conspiracy to traffic drugs to himself. Attorney-General v Ting Choon Meng and another appeal  1 SLR 373: Represented the website, The Online Citizen, in successfully defending proceedings brought by the Government in the District Court, the High Court and the Court of Appeal. Both the High Court and the majority panel of the Court of Appeal agreed with us that the Government did not have the legal right to sue persons for alleged false statements pursuant to Section 15 of the Protection from Harassment Act. Prabagaran a/l Srivijayan v Public Prosecutor and other matters  1 SLR 173: Represented four persons who had been sentenced to the death penalty, in challenging the constitutionality of Section 33B(2)(b) of the Misuse of Drugs Act. The primary ground of challenge was that Section 33B(2)(b), by vesting in the Public Prosecutor the power to decide whether or not to grant a certificate of substantive assistance to a person who has been convicted of an offence punishable with the death penalty, in substance vests the Public Prosecutor with a judicial power, and is therefore in breach of the constitutional principle of separation of powers. This application was dismissed by the Court of Appeal. UFM v UFN  SGHCF 22: Represented an Indonesian divorcee in a successful application for permission to commence proceedings for division of Singapore matrimonial property, consequential upon a divorce decreed in the Indonesian courts.